Once the wood dried, I just followed the directions inside the spice rack kit. I added two sawtooth hangers to the back so that it was easy to hang on the wall. 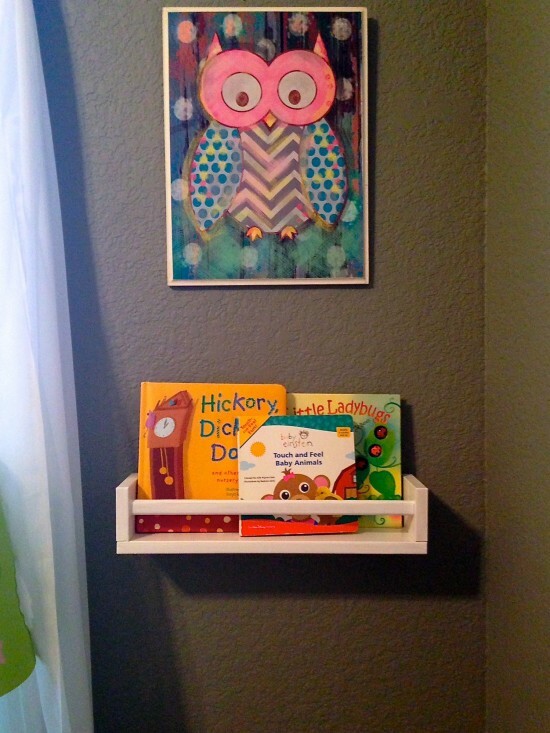 Here is the shelf hanging in the twin’s nursery.